When you push the button on your key fob, your Mercedes-Benz vehicle should respond immediately. So, if the battery in your Mercedes-Benz key fob isn’t working consistently, it may be time to replace it. Learn about the warning signs of a dying battery and how to replace the battery in your Mercedes-Benz key fob if needed. Your vehicle is becoming difficult to start, either taking several minutes or numerous attempts. You cannot lock/unlock your doors or you’re having trouble setting off the panic alarm with your key. There’s a warning sign on your dashboard that notes an issue with the charging system. If you’ve experienced any of the warning signs mentioned above, there’s a good chance your Mercedes-Benz key fob battery needs to be changed. First, identify what type of key you have. You’ll either have a Chrome Key or a Smart Key. The type of key you have affects how you’ll change your batteries. Then, after determining what type of key you have, get the correct batteries for your key. A Smart Key will need two CR 2025 batteries; newer Chrome Keys only need one battery. If you’re changing the batteries in a Smart Key, pull on the tab located at the end of your key holder. Then, press your key horizontally into the opening and raise the battery compartment. Once the battery compartment is opened, replace the batteries. If you have a Chrome Key, pull the latch at the bottom and push the key into the thinner end of the slot. Then, remove the cover and replace the old battery with the new one. For either key, make sure that the new battery is facing in the right direction. 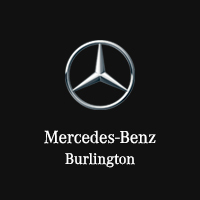 If you need help replacing your Mercedes-Benz key battery, visit us at Mercedes-Benz Burlington. Our service center near Ancaster and Dundas can help. Contact us with questions about our Mercedes-Benz service, costs, and more, before scheduling an appointment online today!